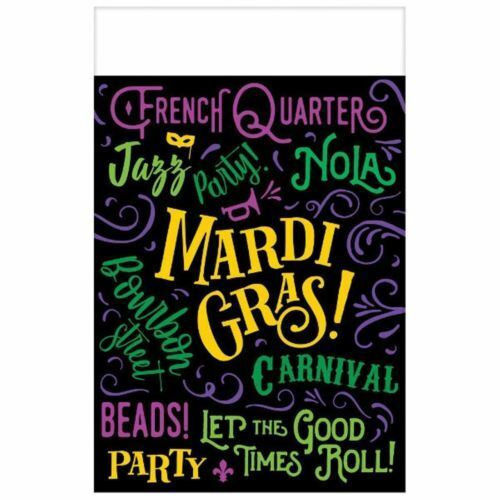 Good Times Mardi Gras Value Package 3 Ct 54 x 84 inches Plastic Black Plates with purple green and yellow prints of beads, horn, and "Let the Good Times Roll! ", "Mardi Gras", "Carnival", "Party", "Bourbon Street", "Jazz", French Quarter", "NOLA" . All tableware is paper or plastic and meant to be disposable.